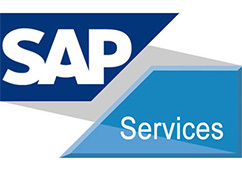 Adroit is a Specialist SAP Consulting Company, with close to two decades of experience in helping organizations significantly reduce costs and improve effectiveness and efficiency through internal process improvements using SAP products and solutions. We have consciously focused on the Large Enterprise & Mid-Market - as our area of expertise for development. As a result, we are capable of partnering with customers right from first consultation, process analysis, and implementation - to rollouts, ongoing support, maintenance, and upgrades. Our consultants have experiences from domestic as well as international projects. Ensuring the value of your SAP investment takes more than software. It takes Adroit Consulting -- and the expertise and skill we've gained over the years. With a formidable team, deep domain and technical expertise, and innovative engagement models, Adroit Infotech can provide the depth and breadth of coverage that your business demands. As a result, Adroit is a valued member of the SAP ecosystem.